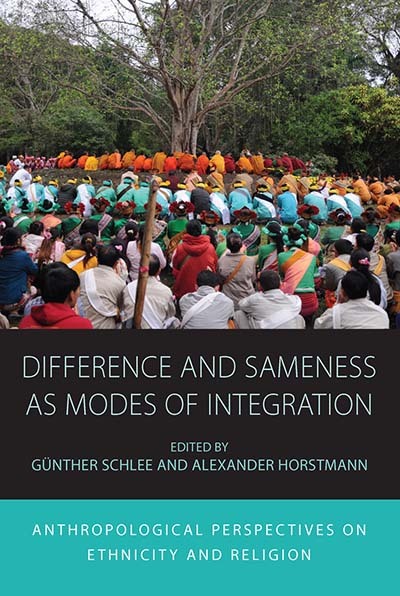 What does it mean to “fit in?” In this volume of essays, editors Günther Schlee and Alexander Horstmann demystify the discourse on identity, challenging common assumptions about the role of sameness and difference as the basis for inclusion and exclusion. Armed with intimate knowledge of local systems, social relationships, and the negotiation of people’s positions in the everyday politics, these essays tease out the ways in which ethnicity, religion and nationalism are used for social integration. Günther Schlee is a Founding Director of the Max Planck Institute for Social Anthropology in Halle, Germany. Prior to this appointment he was a Professor of Social Anthropology at the University of Bielefeld. His main publications include Identities on the Move: Clanship and Pastoralism in Northern Kenya (Manchester University Press, 1989), How Enemies Are Made: Towards a Theory of Ethnic and Religious Conflict (Berghahn Books, 2008) and Pastoralism and Politics (with Abdullahi A. Shongolo, James Currey, 2012). Alexander Horstmann is Associate Professor in Southeast Asian Studies at the School of Humanities, Tallinn University, Estonia. He has held visiting positions at Tokyo University of Foreign Studies, Mahidol University and EHESS in Paris. He is co-editor of the Berghahn Journal Advances in Research: Conflict and Society. He published Building Noah’s Ark for Migrants, Refugees, and Religious Communities ( Palgrave, 2015) and Faith in the Future: Understanding the Revitalization of Religion and Cultural Traditions in Asia (Brill, 2012).